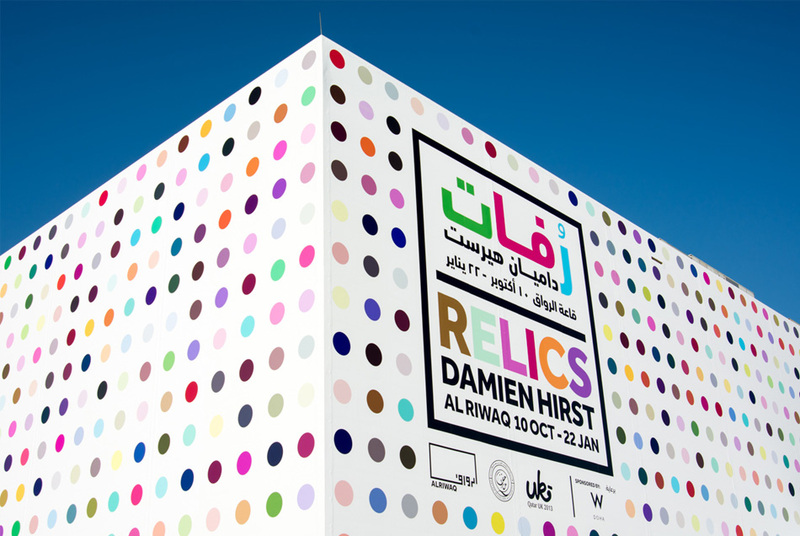 The largest retrospective of Damien Hirst’s work ever to be assembled is on display at ALRIWAQ Doha, curated by Qatar Museums Authority. 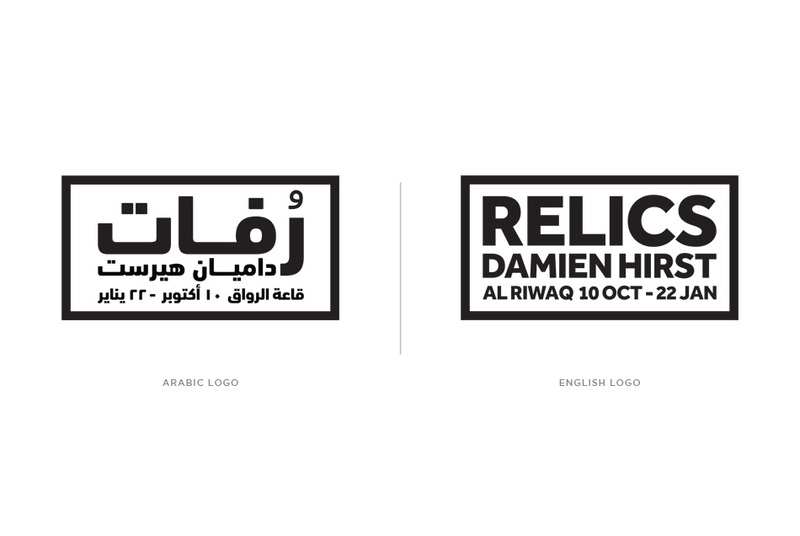 Spanning over 27 years, ‘Relics’ is the artist’s first solo show in the Middle East. 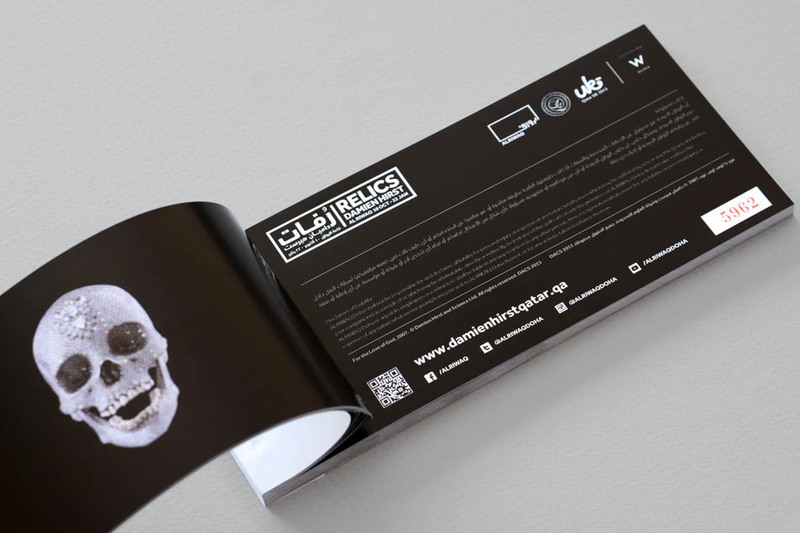 The exhibition forms part of Qatar UK 2013 Year of Culture. 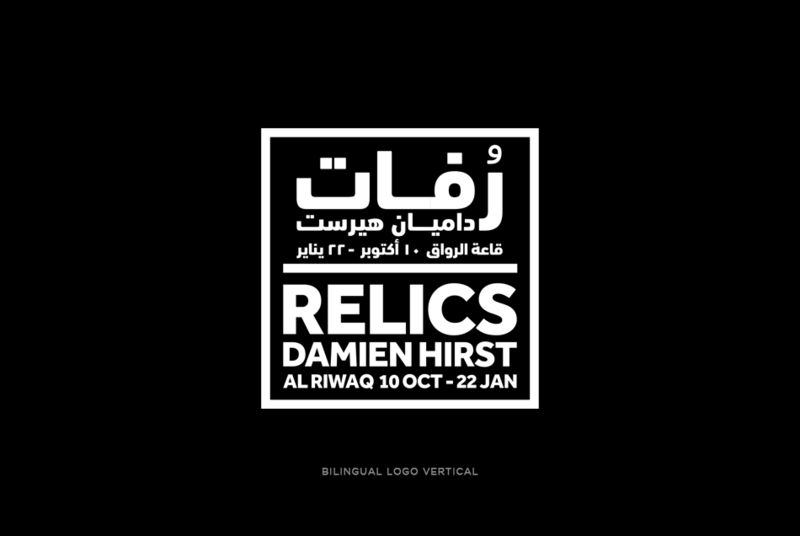 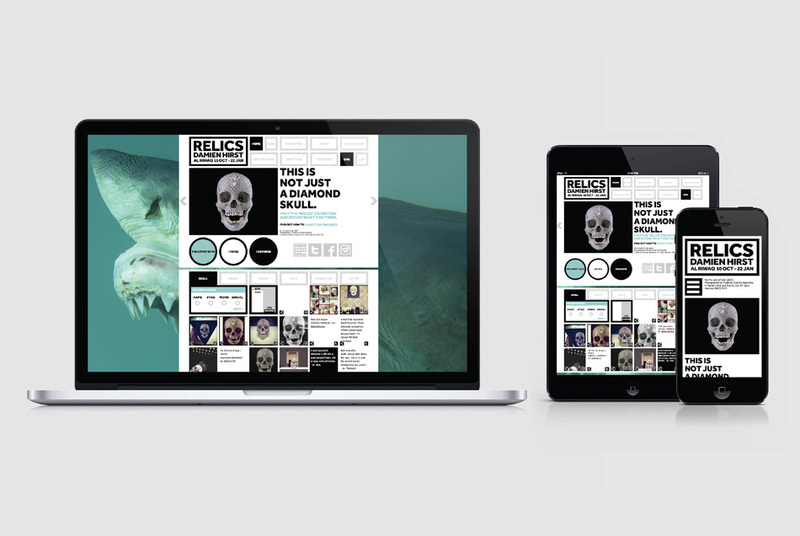 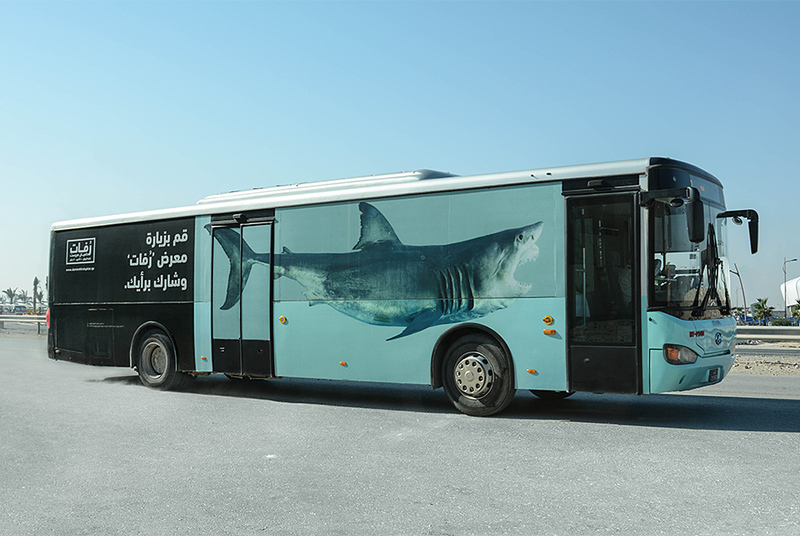 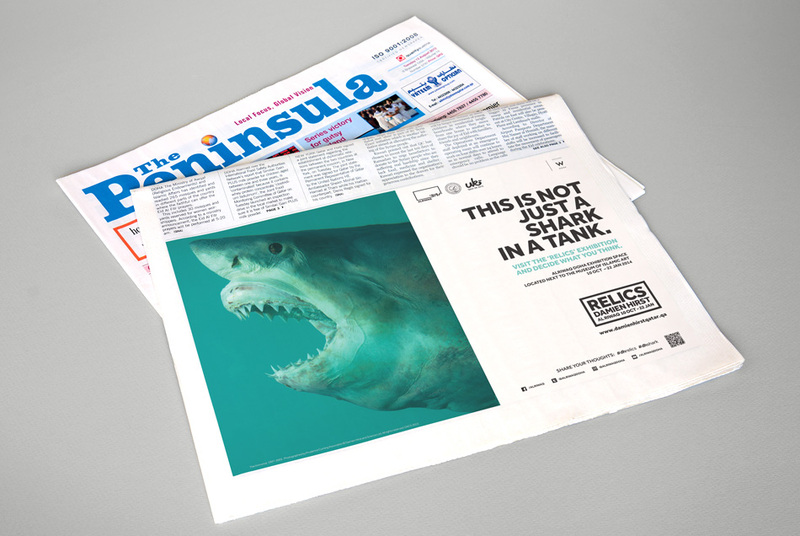 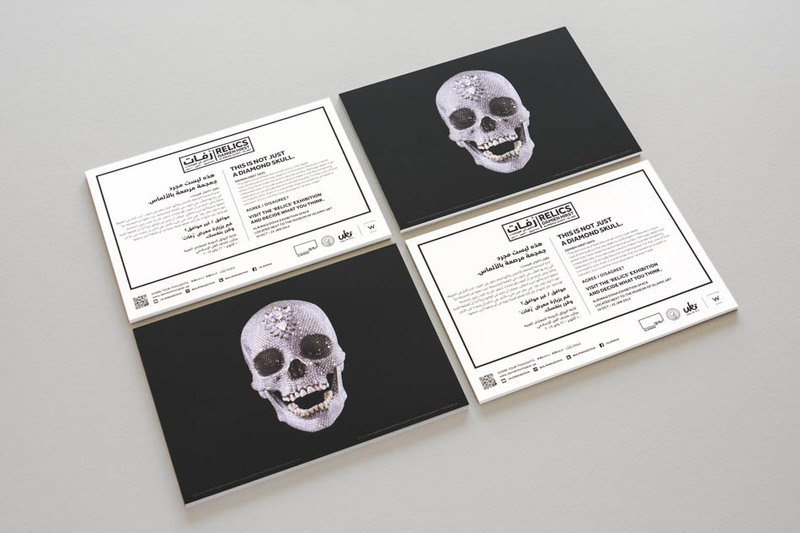 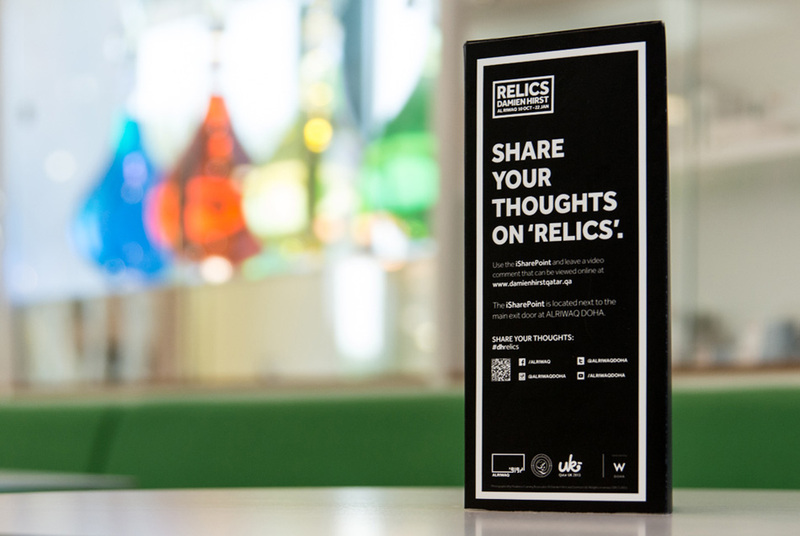 We were commissioned to develop the exhibition identity as well as a fully integrated communication campaign designed to create curiosity, instigate discussion and introduce Damien Hirst to the region whilst engaging our audience over a three month period. 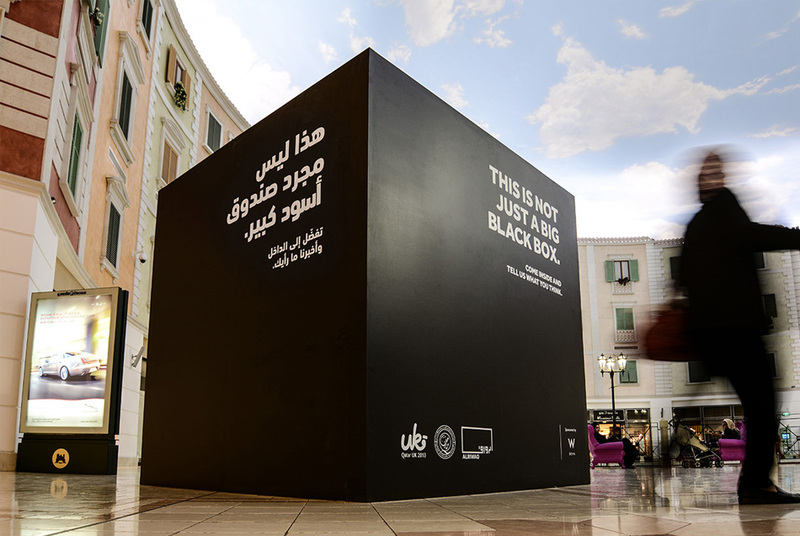 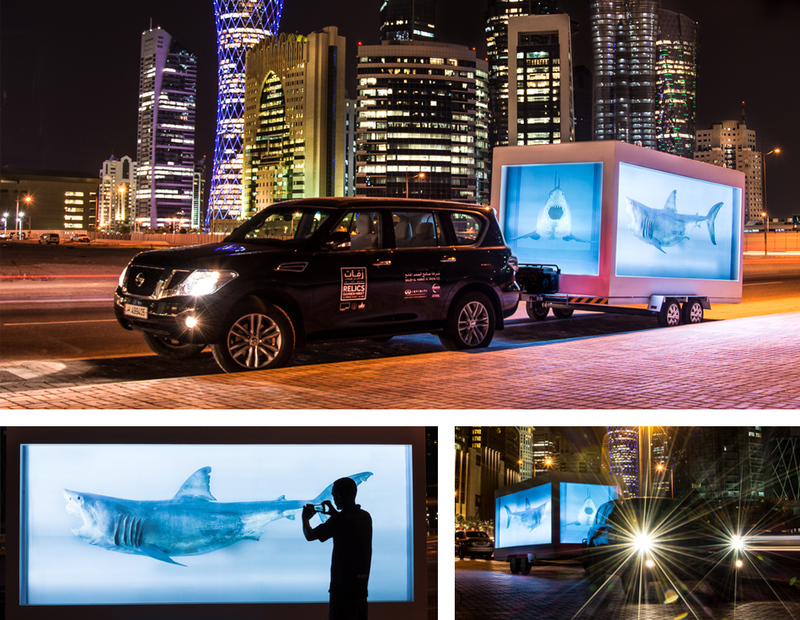 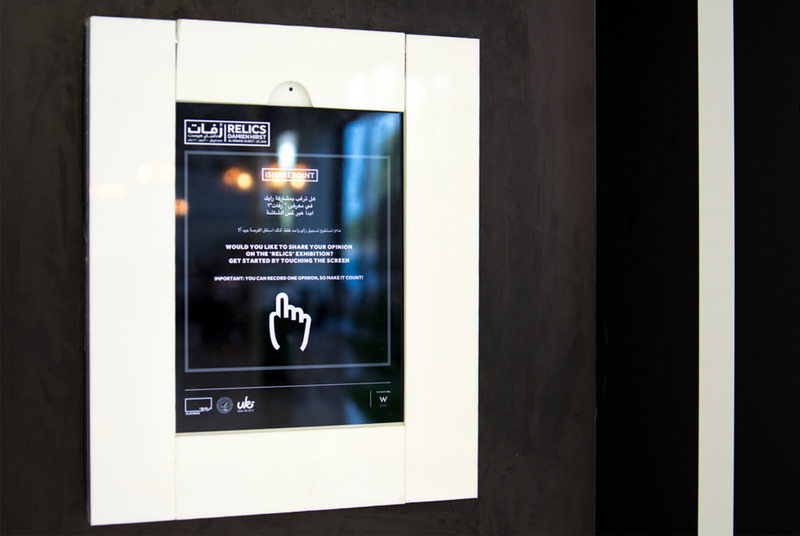 Alongside the main branding we were responsible for delivering Mall & Street Activations, Exhibition booths, radio commercials, local and international print, building wrap and flags and digital applications. 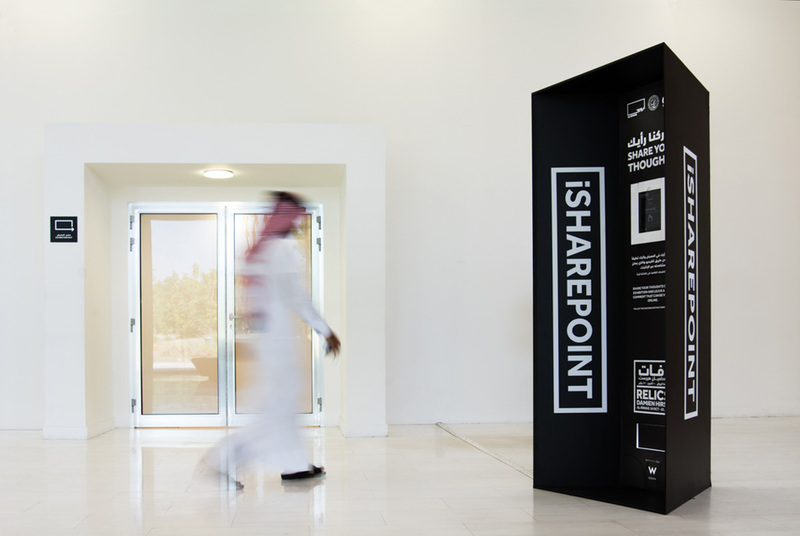 It is the most complete integrated project that I have been responsible for. 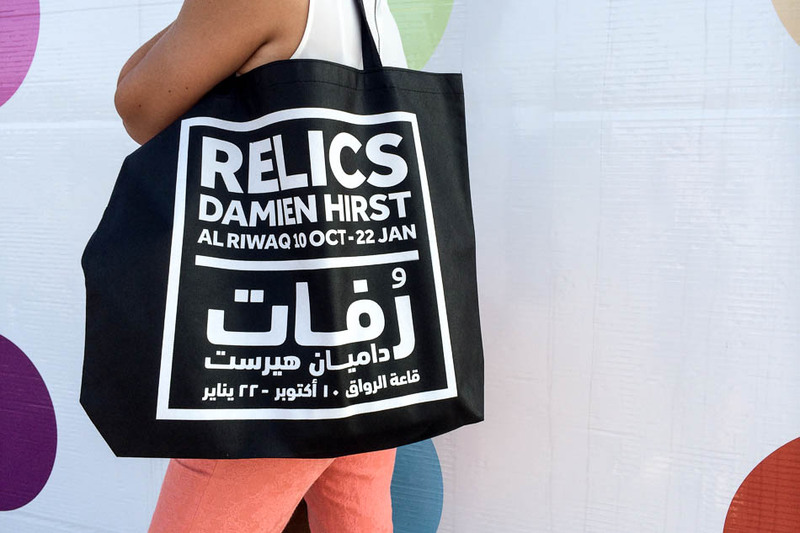 Spot wrap design © Damien Hirst and Science Ltd., All rights reserved.